If you ever wondered, who is Patosha Jeffery... Here is an exciting interview where you learn who I am, how I got started in basketball (how it almost didn't happen), and get an understanding of why I am so passionate about Memphis Girls Basketball. The partial list of college programs expected to be in attendance at the Pre-Season Show Off Camp on this Saturday has a few new additions. So far their will be programs representing the SEC, Conference USA, Sun Belt, OVC, Atlantic Sun, and Southland conferences. This girls basketball fall showcase is open to the public. It will be held at Ridgway Baptist Church 2500 Ridgeway Rd., Memphis, TN 38119-7499. Games will begin at 11:30am. Admission is $3. Memphis Girls Basketball Interview with Tamara Cast "Drummer Girl"
Ridgeway High School's junior Tamara Cast is a well rounded individual. She is a member of several school organizations and a musician that college programs are taking notice of. She's even had the opportunity to play with a famous singer. While throwing a chest pass, it is important to get low and step into the pass. Stepping into the pass simply means to step forward and extend your arms to add power to the pass. If you would like to learn more about the techniques of passing the basketball, email popo@girlsbasketballtrainer.com. Check out Inside Womens Basketball Magazine's Fall 2009 Issue for the Inside Scoop on Epiphanny Prince forgoing her senior year at Rutgers to pursue a professional career overseas, the story of NBA veteran Antonio Davis experience coaching his daugther's, Kaela, AAU team, and the WNBA's deadly duo of Diana Taurasi & Cappie Pondexter and much much more. The 2nd Annual Granny's Girls Basketball Camp will be held on Saturday, November 21, 2009. This camp will be benefiting the American Cancer Society. Granny's Girls Basketball Camp was started last year in honor of Patosha Jeffery's grandmother, Mattie Mae Woods, who passed away from lung cancer on February 6, 2008. Last's years camp raised 66 individual 6-packs and 10 cases of Ensure. This year's goal is to raise 100 six-packs. The camp will be held at Ridgeway Baptist Church, 2500 Ridgeway Rd., Memphis, TN 38119-7499 from 10:00am -1:00. It is free for girls ages 8-14, however, 2 six-packs of Ensure Shake must be donated. Registration will be opening soon. Visit GirlsBasketballTraining.com for more information. Harding Academy's point guard, Alex Black, has decided that University of Tennessee at Chattanooga is where she wants to continue her basketball career. 2008-09: Was named the team’s defensive MVP after leading the Red Wolves with 55 steals on the season and finishing second on the team with 20 blocked shots…played in all 30 games, starting 29…played a team-high 28.5 minutes per game, averaging 5.4 points, 2.8 rebounds, 2.5 assists and 1.8 steals per game…recorded a career-high eight steals in ASU’s 64-54 win over ULM Jan. 14 and had three or more steals in 10 games on the season… recorded three blocked shots on three different occasions…connected on 24 consecutive free throws over a 6-game span, including a personal-best 10-of-10 Jan. 14 against ULM…named to the Academic Honor Roll…finished the season with 49 career blocked shots to rank 8th all-time at ASU…with 132 career steals, is tied for 12th place all-time at ASU…ranks 14th all-time at ASU with 197 assists. 2007-08: After being the only player to start all 32 games, was named the team MVP at season’s end…scored a career-high 20 points in ASU’s 72-64 overtime win over FIU Jan. 23…led Arkansas State in steals and assists…posted a career-high seven assists at Oklahoma State Nov. 29…had a team-high eight games with five or more assists…had a career-high six steals in ASU’s 74-54 win over Missouri State Nov. 20…had 10 games with three or more steals…recorded three blocked shots on three different occasions…averaged 5.7 points, 3.4 rebounds, 3.1 assists and 1.9 steals per game. 2006-07: Played in all 34 games as a true freshman, starting three times...averaged 1.3 points and 1.2 rebounds per game...scored a career high six points and had a career-high four assists in 87-55 win over UA-Pine Bluff...posted a career-high three steals in 67-54 win over Missouri State...named to academic honor roll. HIGH SCHOOL: Played point guard at Ridgeway High ... averaged 12 points per game as a senior ... also averaged six assists, six steals, and three rebounds ... named to Best of the Preps in Memphis as well as all-state honorable mention ... Street and Smith honorable mention all-district ... also member of all-region team ...member of high school’s academic squad. High School: A four-year starter at Memphis Booker T. Washington High School, finished her career with over 1,600 points and 1,000 rebounds…named one of the nation’s top 100 forwards by ESPN Hoop Gurlz…a 2009 McDonald’s All-American nominee…a three-time All-District and All-Region selection…earned All-Metro honors following her junior and senior seasons…named District 15AA MVP following her senior season…led Booker T. Washington to three league titles, four district titles, two city championships, one regional title and one sectional championship. High School: Named All-District, All-Region and All-Metro following her senior season at Memphis Melrose…averaged 16.3 points, 8.6 rebounds, four assists and two steals as a senior…helped Memphis Melrose to a District 16AAA season and tournament runner-up finish. High School: Named All-District and District MVP, All-Region and Region MVP and City MVP following her senior season at Memphis Central…also earned All-State Tournament and All-District Tournament honors…named to the Commercial Appeal/Pepsi Best of Preps team following her senior year…averaged 14 points and six rebounds as a senior…scored 30 or more points in three games …also earned academic honors at Memphis Central. coach may write and telephone you during this period. Several college coaches made the trip to Memphis to take a look at the Memphis talent including representatives from UT-Martin, Arkansas-Little Rock, Troy State, Maryland, Alabama, Auburn, and Georgia State. Colleges coaches will be in and out of Memphis until the contact period ends. This includes being in attendance at the Pre-Season Show Off Camp on October 3. Registration for the Pre-Season Show Off Camp has been extended til Wednesday, September 23. Visit www.GirlsBasketballExposure.com to register. Contact period will end on October 6, 2009. V Dribble Drill is a great way to strengthen your left and right hand and increase ball handling abilities. If you would like to get additional ball handling and dribbling training, email popo@girlsbasketballtrainer.com. Something exciting has been added to the Pre-Season Show Off Camp. Watch the video below to see what. The Pre-Season Show Off Camp is coming up on October 3. Registration and payment deadline is September 19. Visit GirlsBasketballExposure.com to register for this fall NCAA Certified girls basketball exposure camp. Here is a partial list of programs expected to be in attendance at the camp. Tri-State Elite's Kaci Cason has the ability to be the top junior player in the state of Missouri. She attends McClure North High School in St. Louis and this summer attended a Saint Louis Billikens Camp. Per her evaluation from the camp, she is explosive out of the dribble, has solid form on the shot and is at her best when active and engaged in the action making. Also when active and being aggressive she is tough to score on. The Form Flip Shooting Drill is an excellent drill to work on your shooting form and technique. If you would like to get additional training on the proper way to shoot a basketball, email popo@girlsbasketballtrainer.com. 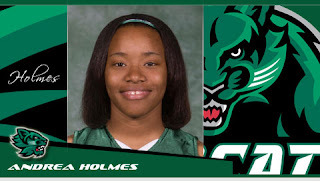 Former Mitchell standout, Andrea Holmes had a very impressive freshman season last year at Binghamton University in New York. Freshman Season (2008-09): The America East Conference Rookie of the Year ... named the America East Rookie of the Week four times (Jan. 12-18, Jan. 25-Feb. 1, Feb. 2-8 and March 2-8) ... ranked fourth in the conference with 4.1 assists per game and tied for ninth with 1.6 steals per game ... ranked second on the team with 10.0 points per game, becoming the first Binghamton freshman to average double figures in scoring in six years ... also ranked first on the team with 34.4 minutes played per game ... averaged 11.0 points, 7.0 rebounds, 3.5 assists and 1.0 steals in the America East Tournament ... scored at least 20 points a team-best three times ... reached double figures in scoring 14 points and led the Bearcats in scoring five times ... poured in a career-high 32 points vs. Stony Brook on Jan. 18, which was the highest total recorded by a Binghamton player in nearly seven years ... scored 24 points, grabbed five rebounds and dished out three assists at Albany on Feb. 7 ... had 11 points, eight rebounds and a career-high eight assists vs. New Hampshire on Jan. 28. 6th, 7th, 8th grade girls Get Ready!!! Ridgeway's Tamara Bates takes us behind the scenes at the Spring Show Off Camp held in April. The Pre-Season Show Off Camp is coming up on October 3. Registration deadline is September 19. Visit GirlsBasketballExposure.com to register for this fall NCAA Certified girls basketball exposure camp. Memphis Girls Basketball Inteview with Maurice Burton "Memphis is a Rising Power in Girls Basketball"
Memphis Select Lady Tigers' Maurice Burton recently posted an interesting article on his blog, Mauricethethird.blogspot.com . 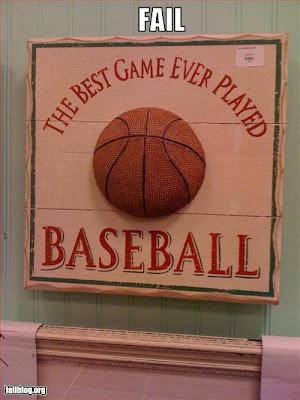 The title of the post is Summer 2009 Girls Basketball Observations. "First of all, and i think a lot of people will agree, that as a city we still havent compiled the best talent in one class on one team to go compete. I've been to millions of tournaments just watching teams play and its pretty obvious that Memphis is a rising power in girls basketball just off raw talent alone. I say this again if we ever come together in the summertime we will have enormous followings in the evaluation period and the high school season would be oozing with college coaches." In the interview, Maurice discusses why he wrote the post, his opinion on having Memphis' best talent on one team, and gives a recommendation to Memphis' players. Check Out the Top Plays from Week 1 featuring Central's Nina Davis and Danielle Ballard, Wooddale's Teresa Mays and Kenesha Jackson , Ridgeway's Hasina Muhammad, Overton's Cornelia Fondren and Jasmine Stafford, Trezevant's Shervonte' Bright and Catholic's Phelicia Atkins. What's your favorite Super 80 Top Play? The Pre-Season Show Off Camp is approaching quickly. Registration and payment deadline is September 19. I sat down to explain why you should attend the Pre-Season Show Off Camp and it's benefits. Jaime Nared has been around basketball most of her young life, playing wherever a basketball and a hoop were available. A rising eighth grader at Stoller Middle School in Beaverton, Ore., Nared attracts attention for her long 6-foot-1 frame and her basketball skills. A year ago, she made her national news debut, but not entirely for her game. According to the Team Memphis Elite website, White Station's Senior Post, Carnecia Williams, has decided to continue her basketball career at Mississippi State University. Junior College: Helped Southwest Tennessee Community College to a 51-3 record in her two seasons, averaging 13.7 points and 12.3 rebounds per game for the Lady Saluqis...Led her conference in rebounding, ranking eighth in the nation in Division I JUCO stats...Honorable mention NJCAA All-American and a Tennessee Junior College Athletic Association West Division Co-Player of the Year....Helped Southwest to a 25-1 record as a sophomore, and a national team ranking as high as No. 4 en route a Western Division crown...SWTCC also won the conference title with Higgins (playing under name Starkitsha Luellen) with a 26-2 overall record under head coach Andrea Martre...She is the first SWTCC player to sign with the Tigers since Charese Wren suited up with the team from 1992-1994. Prep: A 2006 graduate of Melrose High School, Higgins played basketball and volleyball...Under coaches Jammie Poole and Robert Newman, she helped the Lady Golden Wildcats to a 20-11 record and a berth in the Region 8AAA tournament as a senior...Averaged 11.5 points per game as a senior...Also lettered in volleyball and track...Her high school team was the state runner up in her freshman season...Becomes the first Melrose graduate since Ashley Shields to sign with the University of Memphis. University of Memphis freshman basketball player Bilqis Abdul-Qaadir is dining with President Barack Obama and invited American Muslim guests for an iftar dinner Tuesday night. An iftar is a meal that occurs following sunset during the month of Ramadan on the Muslim calendar. We have Lausanne's Lauren Avant and Overton's Jasmine Robinson represent Memphis in the ESPN Hoopgurlz Class of 2010 Top 100. We have Central's Aaliyah Whiteside and Danielle Ballard represent on the ESPN Hoopgurlz Class of 2012 Watch List. Unfortunately, there is no representation for Memphis on the ESPN Hoopgurlz Class of 2011 Super 60.